We present a cost-effective solution of the three-dimensional particle tracking velocimetry (3D-PTV) system based on the real-time image processing method (Kreizer et al. Exp Fluids 48:105–110, 2010) and a four-view image splitter. The image processing algorithm, based on the intensity threshold and intensity gradients estimated using the fixed-size Sobel kernel, is implemented on the field-programmable gate array integrated into the camera electronics. It enables extracting positions of tracked objects, such as tracers or large particles, in real time. The second major component of this system is a four-view split-screen device that provides four views of the observation volume from different angles. An open-source ray-tracing software package allows for a customized optical setup for the given experimental settings of working distances and camera parameters. The specific design enables tracking in larger observation volumes when compared to the designs published up to date. The present cost-effective solution is complemented with open-source particle tracking software that receives raw data acquired by the real-time image processing system and returns trajectories of the identified particles. The combination of these components simplifies the 3D-PTV technique by reducing the size and increasing recording speed and storage capabilities. The system is capable to track a multitude of particles at high speed and stream the data over the computer network. The system can provide a solution for the remotely controlled tracking experiments, such as in microgravity, underwater or in applications with harsh experimental conditions. The authors wish to thank Matthias Kinzel for providing the drawings and Beat Lüthi for the ETH Zurich optical setup. 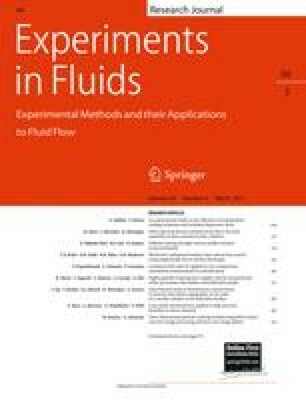 The authors are thankful to David Ratner and Reut Elfassi from the Turbulence Structure Laboratory for the assistance with the experiments and technical support of the experimental setup and to Eldad Sumner for the design of the optical system. We thank our anonymous reviewers for helpful comments. The research was supported by the Israel Science Foundation under grant no. 782/08 and the Wolfson Family Charitable Trust.